Funny cartoon website humor can easily be found online. Simply type in your search term of interest and many sites will return samples and links based on what you’re looking for. That’s the magic of the internet! However, the difference that sets all sites apart from one another is one simple thing . . . drawing style. What type of style are you looking for? Some people prefer simple line art. Other people prefer some types of cartoons that are a bit more intricate in both illustration and drawing style, not to mention sense of humor. So it will take a little time for the editor, consultant or author to set aside time to look and browse for whatever he or she may be looking for. Over time, I developed a drawing style that I felt was adaptable for most applications. Whether for use in a book or any other kind of professional project. Many times when editors from book publishing companies have contacted me, I was asked if I can create a custom cartoon in a sort of “New Yorker” cartoon style. I’ve always said yes, as that’s what I’ve prided myself in, the actual ability to adapt and adjust my drawing style to placate that of the editor or professional who seeks customized cartoon images for whatever project in question is involved. A search “trick” to keep in mind when searching cartoons or any funny cartoon website is to use the “plus” sign or + along with keywords relating to the kinds of cartoons you seek. This search engine trick enhances your results greatly. For instance, combinations like “cartoons + humorous illustrators” or “humorous illustration + cartooning services” will give you a variety of different search results based on the type of cartoons or cartoonist or illustrator you are looking for. Overall, dare to be different in your searching and try different companies, like Bing or Duck Duck Go. 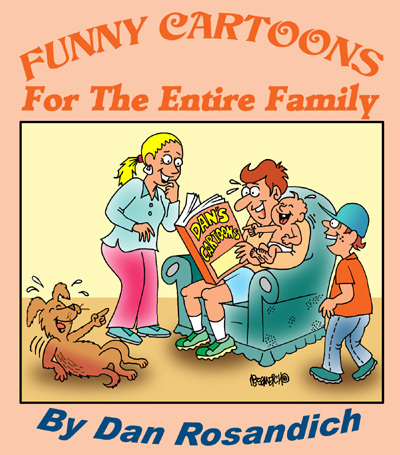 A lot of great search engines will assist you in your quest for excellent cartoons!